This is the plate that I used for today's mani, and this one clearly has a beach theme. Messy Mansion has a lot of themed plates, including the ones shown in this post, so if you're looking for a specific theme, they might just have it! I haven't updated my comparison with these plates yet, and their images often vary a little in size, so measuring and updating that comparison will come later. But to give you an idea, the full nail images on this plate are 2.3x1.7cm. I love that middle image on this plate! It's the one that I used for this mani, and I went with colors to match more with the theme, but I bet it'll look great in other colors as well. Or maybe as a fully colored decal? I think the plate offers a nice variety, some small images to make a themed mani, a few larger that'll work with different color schemes, and some larger ones that really go with the theme. Sunflowers! 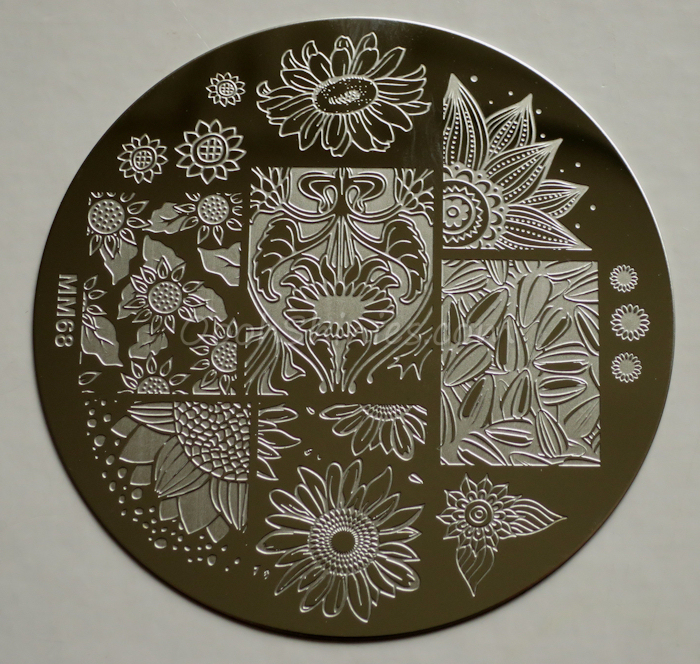 Who knew you could get so many different sunflower images on a plate, haha, even the seeds are included! You can of course go for the obvious colors here, but I'm sure that these flowers will work in any color, or fully colored as well. If you like jewelry, look no further! 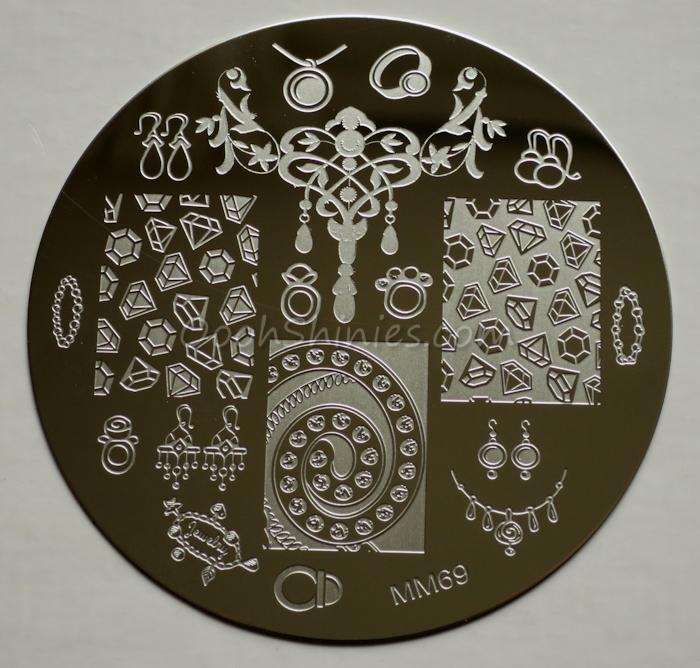 This plate packs it all; earrings, bracelets, diamonds, rings, ... Those diamond images with a holo base, or silver glitter perhaps? An accentnail with the necklace (bottom right)? Spicing things up with the last plate in this post! You do need fairly large nails to be able to get an entire image on your nails (like the woman's face, it's around 2.2x1.8cm), but a piece of lace, the laces on the right, or the laced corset will be easier to use. I'll be honest though, I'm sure there's people who would love these images as they are, but personally, I don't think I'll ever stamp a bra on my nails! However, if you can look past the obvious images on the plate, and imagine just a part of an image, maybe stamped sideways or on the top of your nails, it really offers a lot more than those obvious images :) Example, the little corset on the bottom left, stamp half of it on the top of your nails (either the top or bottom half), and it'll look like a random little detail. Dance Legend Olga with A England Queen Of Scots and Messy Mansion plate MM64. I think the Messy Mansion plates are great; they have unique and fun images, their large images will work for a lot of ladies, the quality is always perfect, and their themed plates are done so well! And if you can look past the themes, most plates offer a lot more than that. 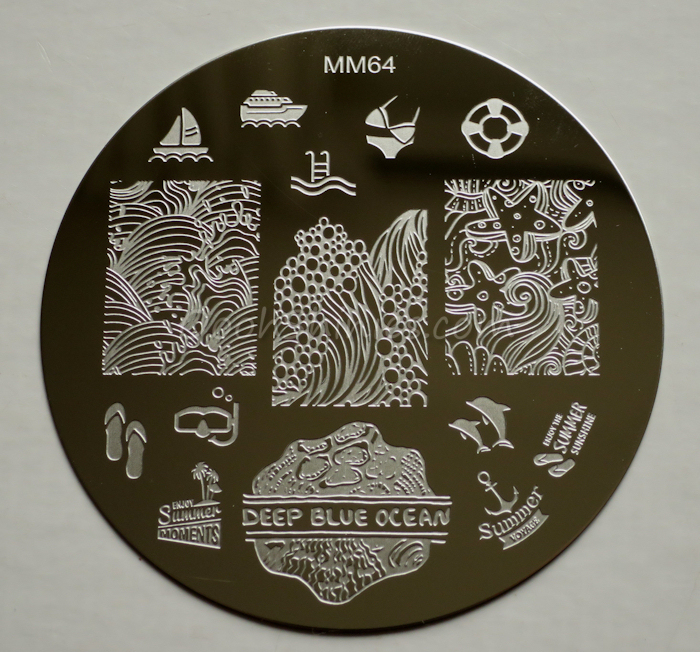 You can buy the Messy Mansion plates on their website, not only do they have a lot of stamping plates, they carry various stamping tools as well. You can also find Messy Mansion on various social media, like Facebook and Instagram.